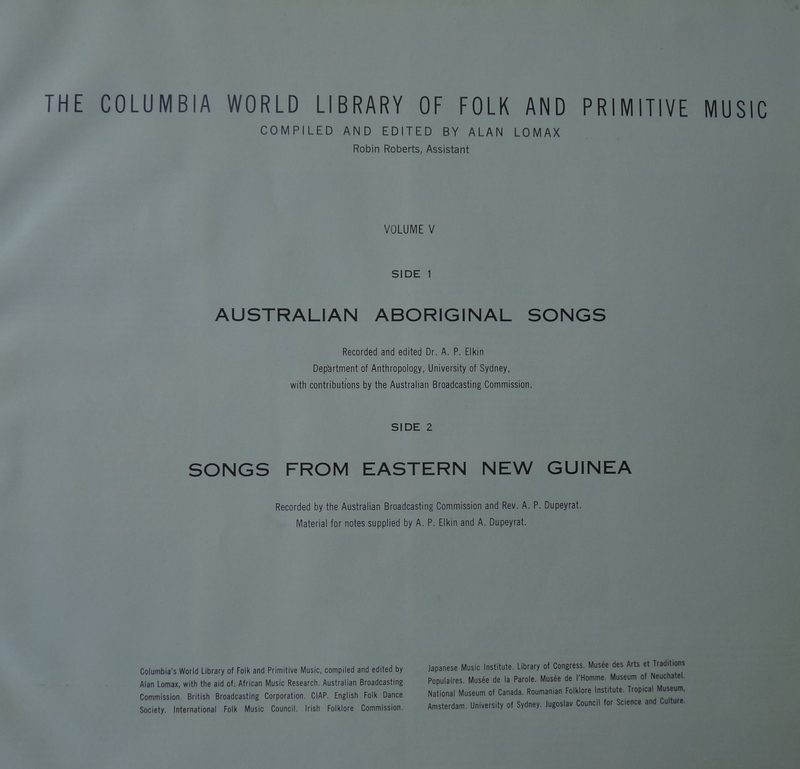 Volume 5 of the World Library has one side dedicated to aboriginal tribal music of Australia and the other to music of New Guinea. 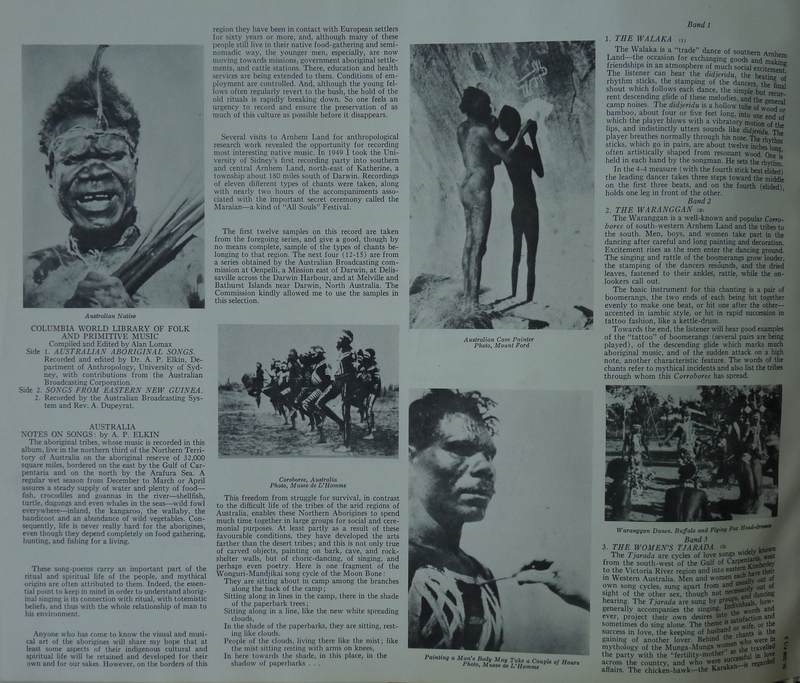 Aboriginal people, or Indigenous Australians as they want to be called, are one of the oldest people in the world, and this recordings of traditional tribal music represent man’s music in its most “primitive” form. 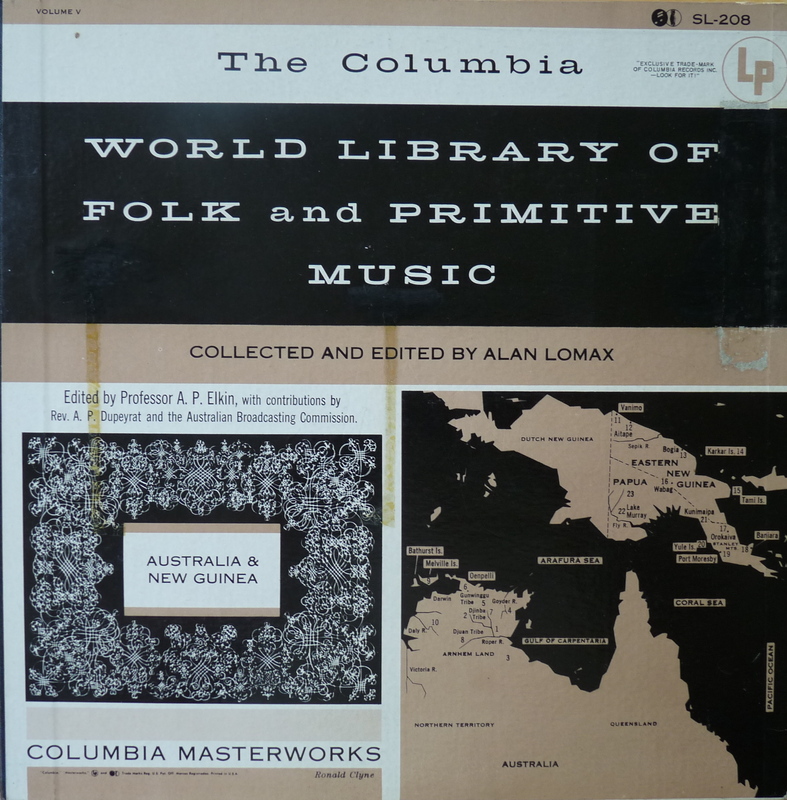 When listening to this recordings, it’s important to know that this music is just one element of a whole system of expression that includes body gestures , paintings, etc… and that it serves tribal functions, mistycal beliefs and the profound inter-relations between Man and Nature. 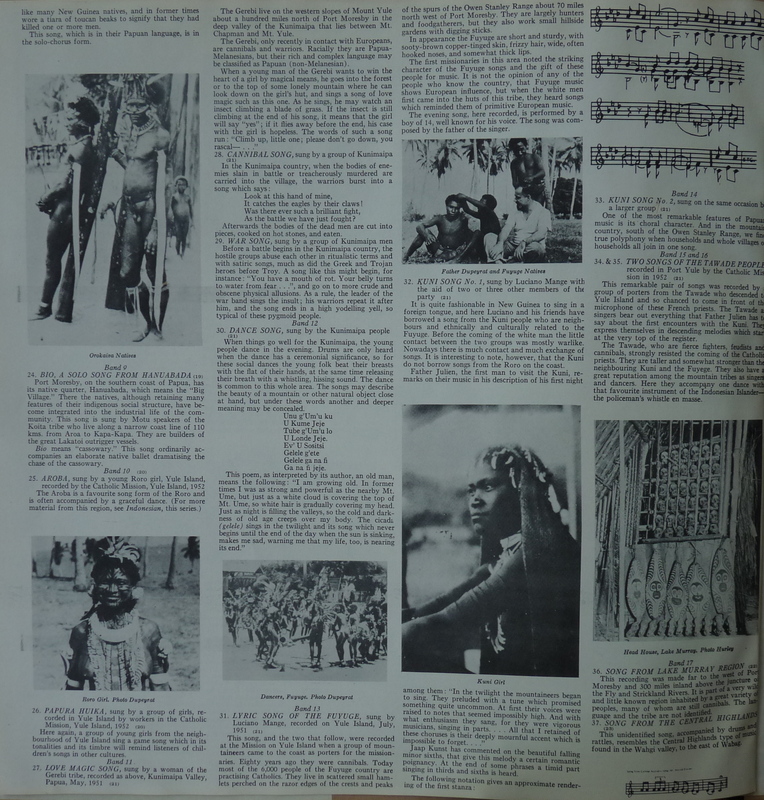 The most important features of the music are singing along with rythm provided by various sticks and drums and the famous didjeridu, a hollow tube of wood played by blowing into it with a vibrating movement of the lips. New Guinea is one of the largest island in the world with a population of a thousand different tribes with an equivalent amount of different languages and dialects. 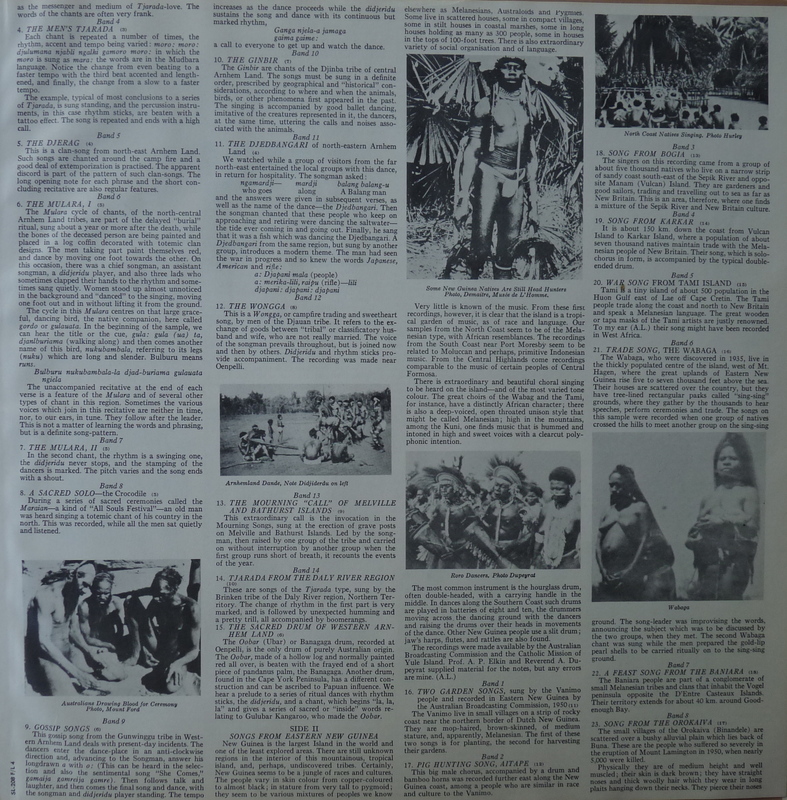 The recordings were made with different tribes in Eastern New Guinea and in the Papua territory of the island. once again an interesting upload! What a wonderful site, keep up the good work. I’m from a little company called Tempora that does the production of expositions for several Belgian and European musea. Momentarily we are doing the production for a museam called MAS in Antwerp, which is an ethnographic museum. In there, there will be a part about Oceania. 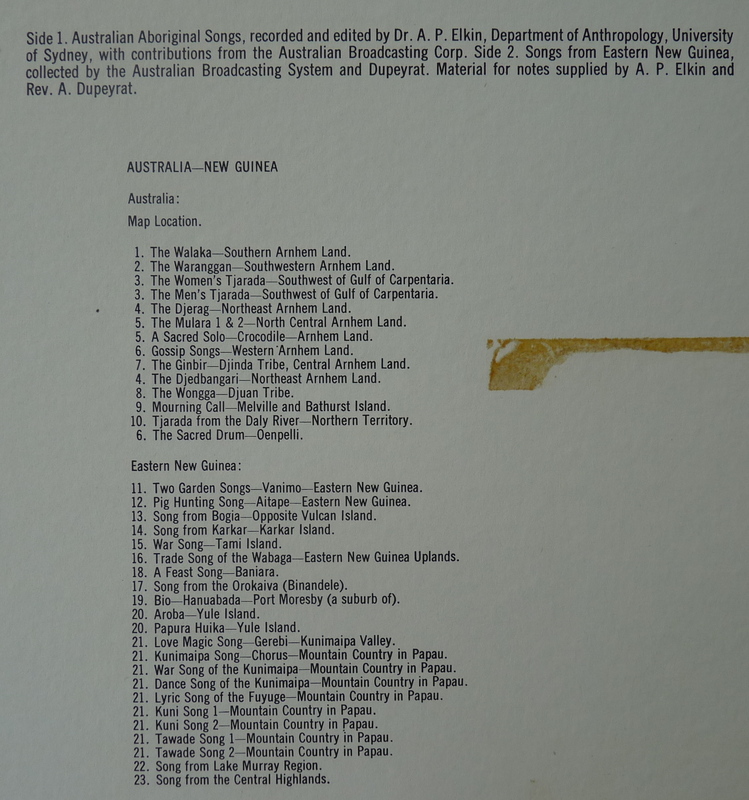 Now for one installation we are looking for authentic New Guinean music, and apparently you have some. So we were just wondering if it’s possible to buy these songs from the vinyl record in high quality digital formats or a CD. Let me now something if this is possible. P.S: Great blog by the way.